Four years ago, the proposal of the rebuild of the Slussen area in Stockholm, was approved. Builders are ready, machines are rolled forward and construction starts. Then, contrary to everyone’s expectations, archaeological findings surprise them all. Archaeologists occupy the area. 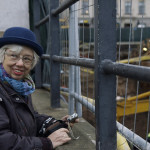 The findings are sensational and the whole Stockholm’s history must be rewritten with the help of a retired town curator and an almost 90-year-old pipe expert. 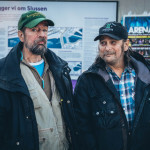 At the same time life in the lock rolls on and we follow Pekka’s and Mattes friendship put to the test, protesters against the new Slussen and how Kolingsborg turned into an art project, all accompanied by masterful buskers. 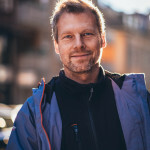 A film by Johan Palmgren.